Do not alight from your vehicle anywhere other than indicated on the map. There are many poisonous snakes in the area. Keep all windows at least 66% closed when driving through predator camps. Indemnity: Each person enters the Rhino & Lion Nature Reserve & Wondercave at his / her own risk. The owner, management and employees are not responsible for any damage, injury or loss of any nature sustained by a visitor, guest, contractor or any other person and / or their property. All equipment in this Play Park area may be used under Adult supervision only. 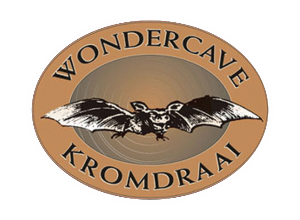 Indemnity: Each person enters the Rhino & Lion Nature Reserve & Wondercave at his / her own risk. The owner, management and employees are not responsible for any damage, injury or loss of any nature sustained by a visitor, guest, contractor or any other person and / or their property. On entering the swimmingpool area please note that the swimmingpool may be used under Adult supervision only. You enter the lion and predator camp AT YOUR OWN RISK and under no circumstances will the owner, management and employee be held responsible for any damage, injury or loss of any nature sustained by a visitor, guest, contractor or any other person and / or their property. The lions and predators you will encounter here are wild and dangerous which may result in them unwittingly encaging in potentially dangerous behavior for example engaging vehicles with externally mounted spare wheels with covers, low bar covers, etc. THEREFORE… Please ensure that you adhere strictly to the following codes of conduct during your visit to the lion and predator camp. Under no circumstances may visitors travel on open vehicles or anything similar. Visitors may not alight from their vehicles or leave the doors open. Under no circumstances must the lions or other predators be enticed or teased in any way. REMEMBER – LIONS AND PREDATORS ARE DANGEROUS AND MAY DAMAGE YOUR VEHICLE IF YOU ARE NOT CAUTIOUS OR IF YOU IGNORE THE ABOVE CODES OF CONDUCT. Enjoy your visit but please stay alert. play ball or other games between braai’s – please use open spaces. Offenders may be removed from the premises and / or be prosecuted. Please note that Reserve vehicles always have right of way. CORRESPONDENCE: All correspondence with the Reserve must be received in writing. No telephonic or other verbal communication will be deemed binding in any way unless a supporting written request is received via fax or e-mail. RULES: All rules, regulations, and standard trading conditions of the Reserve apply to visitors taking part in any of the activities or making use of any of the services detailed above. INDEMNITY:Every person enters the Reserve at his/her own risk. The owner, management and employees are not responsible for any damage, injury or loss of any nature sustained by a visitor, guest, contractor or any other person and/or their property. Please ensure that you sign the indemnity form presented by the guide at all times! Omission will result in full acceptance of the indemnity clause on your behalf. CREDIT CARD: Your credit card details are required to secure your booking. By submitting these details, you acknowledge that you have read the Terms & Conditions, and consent that Rhino & Lion Nature Reserve may deduct the full amount payable to them in case of failure to arrive on the specified arrival date, non-payment of all fees prior to arrival or damage to Reserve property in excess of any specified breakage deposit. Your credit cards details are required for security purposes only, and will be kept strictly confidential. CHEQUES: Please note: We do not except cheques. PAYMENT: THE FULL AMOUNT AS QUOTED FOR THE GAME DRIVE MUST BE PAID ON THE DATE OF THIS FROM TO SECURE THE BOOKING, AND PROOF OF PAYMENT FAXED OR E-MAILED TO OUR BOOKING OFFICE WITHIN ONE (1) DAY FROM THIS DATE. IF PROOF OF PAYMENT IS NOT RECEIVED WITHIN THE SPECIFIED TIME, THIS BOOKING MAY BE CANCELLED WITHOUT ANY FURTHER CORRESPONDENCE OR OBLIGATION FROM RHINO & LION NATURE RESERVE. PAYMENT FAILURE: Failure to comply with the payment request above will result in cancellation of the booking. ARRIVAL: Please note: All guests must arrive at least 30 minutes prior to their scheduled tour/game drive/other activity. Late arrivals will result in all scheduled activities being shortened accordingly, as a courtesy to our next group of guests. Should you arrive more than two (2) hours after your scheduled time without sufficient notice, the Reserve and its staff may not be able to accommodate your group’s scheduled activities and reserves the right to do so. Under these circumstances, you will forfeit the full payment made to the Reserve towards this booking. A driver who delivers visitors to the reserve, need not to pay an entrance fee. However, all meals and beverages are to be paid for. CANCELLATION POLICY: Notification of cancellations must be received by the Reserve in writing no later than one (1) week prior to arrival. Telephonic cancellations will not be accepted. Failure to comply will result in the following penalties: Cancellation 7 days or less prior to date of arrival: Forfeit FULL amonut Cancellation due to extreme weather: Full Refund Cancellation when Reserve is closed Full Refund REFUNDS: No refunds will be made on any changes made on this booking form on the day of this booking. Any changes made will be charged for additionally. No refunds will be given on any changes less than the value of this booking form on the day. No refunds also implies that in the event where fewer persons arrived on the day for the booking that the difference in value can be used for any other events on the day. These monies will be forfeited. I/he/she participate/s voluntarily in the activities presented by Rhino & Lion Nature Reserve, Wonder Cave. I accept that I/he/she make/s use of the facilities at my/his/her own risk and herby absolves all parties listed in above paragraph and/or his employees and in respect of any damage, accident, injuries, sickness, cost or expenditure of whatever nature to persons or property arising from these activities. I further accept that I/he/she will be held personally responsible and liable in respect of any damage, accident, injuries, cost or expenditure of whatever nature to person, animals or property, arising from these activities. I, together with my heirs, executors and administrators hereby release the “Rhino & Lion Nature Reserve & Wondercave”, its owners, board members and any employee and representative or contractor against any and all liabilities and claims that could accrue to me or my heirs, executors and administrators due to illness, injury, death or loss of or damage to property arising out of my participation of the abovementioned activities, irrespective of whether such claim or claims arose as a result of any act or omission (whether by negligence or not) of any person or from any cause whatsoever. 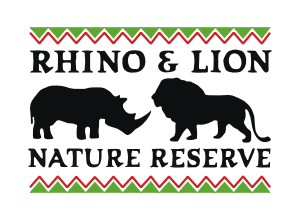 Rhino & Lion Nature Reserve, Wondercave, its owners, board members and any employee and representative or contractor accepts no liability for death, injury, illness or loss of or damage to property arising out of my participation in the abovementioned activities whatsoever. I fully understand and accept the terms of conditions hereof and certify that the contents hereof has been communicated to any beneficiaries I may have. I hereby warrant that I am a major and do not require my guardians signature. All correspondence with the Reserve must be received in writing. No telephonic or other verbal communication will be deemed binding in any way unless a supporting written request is received via fax or e-mail. Reserve gates open at 08h00 and close at 17h00. Chalet guests must check-in before 17h00 unless prior arrangements have been made. To arrange for after-hours check-in contact: 011 957 0106 / 0109 or 082 800 5308. Accommodation for four (4) occupants per chalet is included in the price of accommodation above. For additional guests, a once-off accommodation fee of R140.00 will be charged. A maximum of six (6) persons may occupy a chalet at any time. All rules, regulations, standard trading conditions (as per your chalet’s Information Folder) do also apply to chalet visitors. Prior to your departure, please arrange for the staff to check the chalets for breakages. Failure to do so will result in your breakage deposit being withheld. Once a designated staff member has signed-off your inventory list, this list may be presented to the booking office. Breakage deposit will be paid back in the next 14 days. Chalets have no electricity or telephones (GAS APPLIANCES ONLY). Indemnity: Every person enters the Reserve at his/her own risk. The owner, management and employees are not responsible for any damage, injury or loss of any nature sustained by a visitor, guest, contractor or any other person and/or their property. Very important: Please consult the Information Folder in your chalet for safety & emergency procedures, contact details of relevant emergency services and other practical information. Your credit card details are required to secure your booking. By submitting these details, you acknowledge that you have read the Terms & Conditions, and consent that Rhino & Lion Nature Reserve may deduct the full amount payable to them in case of failure to arrive on the specified arrival date, non-payment of all fees prior to arrival or damage to Reserve property in excess of the specified breakage deposit. Your credit cards details are required for security purposes only, and will be kept strictly confidential. A 50% DEPOSIT (OF WHICH A MINIMUM OF 10% IS NON-REFUNDABLE) MUST BE PAID WITHIN FIVE (5) WORKING DAYS FROM THE DATE OF THIS FORM, AND PROOF OF PAYMENT FAXED OR E-MAILED TO OUR BOOKING OFFICE WITHIN SEVEN (7) WORKING DAYS FROM THIS DATE. IF PROOF OF PAYMENT IS NOT RECEIVED WITHIN THE SPECIFIED TIME, THIS BOOKING MAY BE CANCELLED WITHOUT ANY FURTHER CORRESPONDENCE OR OBLIGATION FROM RHINO & LION NATURE RESERVE. Bookings must be paid for in full no later than one (1) calendar month prior to arrival date. Failure to comply will result in cancellation of the booking and forfeiture of the 10% minimum non-refundable deposit. Please note: We do not except cheques. Bookings made less than 30 days prior to arrival must be paid for immediately and IN FULL via Internet (EFT) transfer and proof of payment faxed or e-mailed to our booking office. Banking details are provided below. Reserve gates open at 08h00 and close at 17h00. Log cabin guests must check-in before 17h00 unless prior arrangements have been made. To arrange for after-hours check-in contact: 011 957 0106 / 0109 / 0343 or 082 800 5305. Accommodation for four (4) occupants per cabin is included in the price of accommodation above. For additional guests, a once-off accommodation fee of R140.00 p/night will be charged. A maximum of six (6) persons may occupy a cabin at any time. All rules, regulations, standard trading conditions (as per your cabin’s Information Folder) do also apply to log cabin visitors. Prior to your departure, please arrange for a staff member to check the cabin(s) for breakages. Failure to do so will result in your breakage deposit being withheld. Once a designated staff member has signed-off your inventory list, this list may be presented to the booking office. The breakage deposit will be paid back in the next 14 days. Very important: Please consult the Information Folder in your cabin for safety & emergency procedures, contact details of relevant emergency services and other practical information. No refunds will be made on any changes made on this booking form on the day of this booking. Any changes made will be charged for additionally. No refunds will be given on any changes. No refunds also does not imply that in the event where fewer persons arrive on the day for the booking that the difference in value may be used for any other events on the day. These monies will be forfeited. 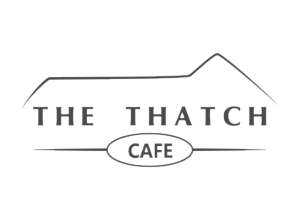 I voluntarily agree to visit and/or participate in activities at The Thatch Café / Rhino & Lion Nature Reserve / Wondercave premises which include any and all cycling activities as well as any other activity or competition I may participate in and/or attend and/or perform supervision for and/or visit as a spectator. I warrant and declare that my general health is good and that there is nothing that renders me unfit to undertake the above. I fully understand and appreciate that there may well be unknown risks and dangers involved in any of the activities and declare that I am participating therein voluntarily and out of my own free will and with full knowledge of the aforesaid. I understand that steps had been taken by all our interested parties to ensure the safety of the participants, but acknowledge and fully understand that my safety cannot be guaranteed by anybody. I, together with my heirs, executors and administrators and/or any interested party hereby indemnify The Thatch Café / Rhino & Lion Nature Reserve / Wondercave, its owners and/or managers, and any employee and representative or contractor against any and all potential liabilities and claims which could accrue to me or my heirs, executors and administrators and any interested party and due to illness, injury, death or loss of or damage to property arising out of my participation of any activity, irrespective of whether such claim or claims arose as a result of any act or omission (whether by negligence or not) by any person or from whatsoever cause. The Thatch Café / Rhino & Lion Nature Reserve / Wondercave, its owners and/or managers, and any employee and representative or contractor accepts no liability for death, injury, illness or loss of or damage to property arising out of my visit and/or participation in any activity whatsoever.